Morris Funeral Home is here to help create a service that will honor your loved one. The service is an important part of the grieving and healing process. There are numerous types of services and we will gladly assist you as you go through the decision making process. Whether you choose a traditional, religious or military service, cremation, or a “life celebration”, our job is to provide the best possible guidance and help with the selection of a meaningful tribute to your loved one. 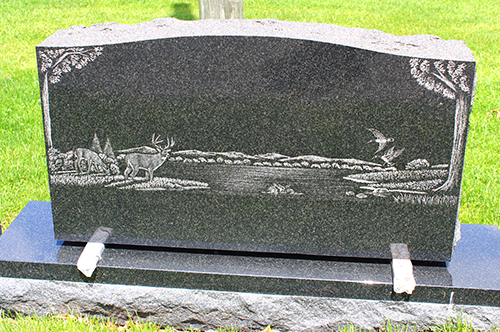 Morris Funeral Home offer a variety of headstones, benches, and urns for you to choose from. Morris Funeral Home also offers Pre-need Services. The advantage of pre-planning funeral services is to relieve the burden of the decision making on your loved ones and to ensure your funeral is carried out according to your wishes. Pre-need services can also be prepaid, if you would like. There are options for prepayment that can be discussed at your convenience. Existing pre-need services can be transferred from and to the funeral home of your choice with little to no cost to the family. Please contact us for more information at 304-226-5500.